In his intro to this book Zafón says it is perhaps his favourite work, I can see why. It is dark and chilling, yet this is beautifully counterbalanced with the growing tender affection of teenage love . The straightforward and accessible prose hooks you into the story of 15 year old Oscar Drai and Marina Blau as they unravel the mystery of the woman in black discovered laying a single red rose on a Barcelona grave, unmarked except for the engraving of a black butterfly. Full of original simile eg “A strange sound throbbed in the darkness. A metallic murmur, like the sound of a venetian blind quivering” , bloodcurdling imagery, the dolls, and wicked juxtaposed last lines of chapters and section, enforcing the turn of the page. 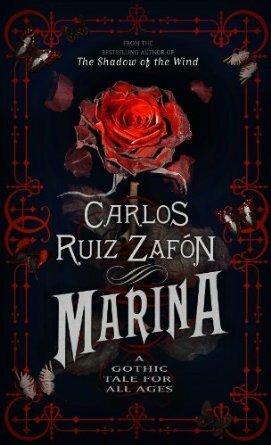 ashramblings verdict 5* For me Zafón is a modern master of suspense.